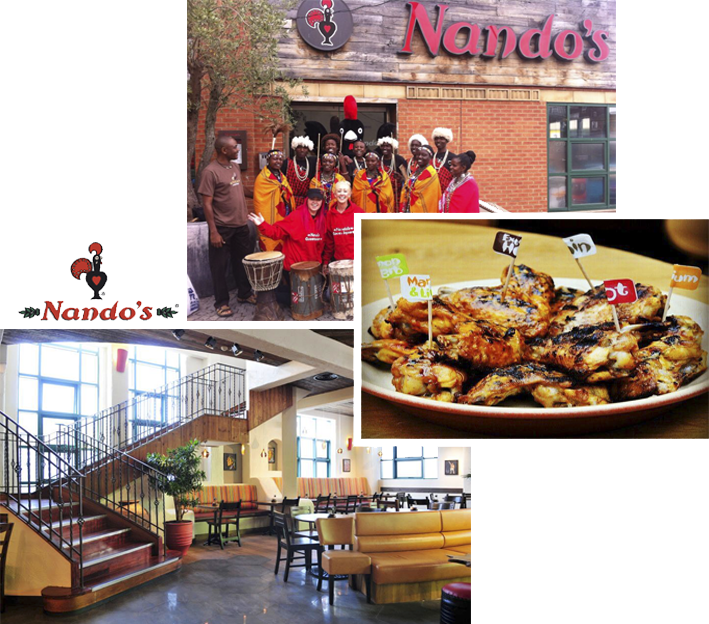 Home of the legendary, Portuguese flamed-grilled PERI-PERI chicken! If you like your chicken hot then take a trip to Nandos. On the menu is an assortment of marinated Peri-Peri chicken dishes that range from cool and mild to fiery hot. Chicken marinated for at least 24 hours in PERi-PERi sauce and flame-grilled to order. Devoted to people with an appetite for life, people who love to laugh and live to eat. At Nando’s we believe in our flame-grilled Peri-Peri Chicken, we believe it’s the best in the world. Taste the unique flavour and fire of our Peri-Peri chicken and we are sure you will agree. So what are you waiting for? Come on down, you’ll love Nando’s!!! Situated in the heart of Liverpool City Centre, Queen Square bus station. Pop down and visit us!